This site was designed at abbaroo.com in 2004, and updated in 2006, redesigned in 2011. 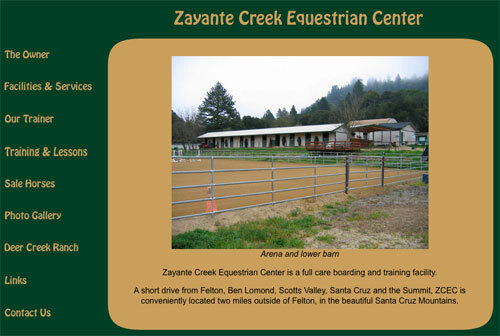 It's a simple design, with plenty of information about the client's equestrian facilities. A photo gallery was also included to show the grounds, horses, and more.